We’re coming towards the end of Easter-tide – which means Ascension, Pentecost and Trinity are nearly upon us. These might be helpful in your planning. Because the Feast of the Ascension always falls on a Thursday (40 days after Easter) children and young people may miss out on learning about Jesus’ ascension into heaven. You’ll find plenty of ideas here (including ‘Christmas Backwards!) which could be used on the following Sunday. 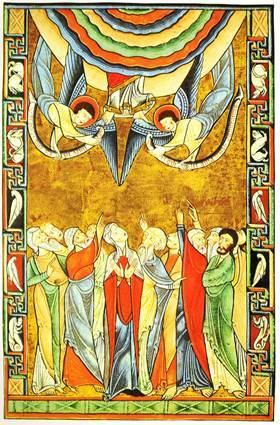 In England, Pentecost usually falls at the start of the summer half-term, when many families are away. This year half-term is a week later, so there may be many more people in church. The ideas here include all-age celebrations, and inviting everyone to wear something red, yellow or orange to church to represent the flames of the Spirit. The mystery of the Trinity is hard for adults to grasp, let alone children and young people. Carolyn Brown, Sharon Ely Pearson and Martyn Payne have some creative ideas to help you explore this importance Christian doctrine.